Does this also work in Leopard? 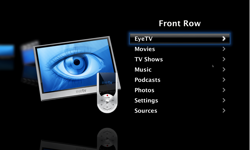 I’m hearing about all kinds of problems with SL and the remote, so I’m considering downgrading to Leopard for my HTPC OS. posted by Chris on 11.25.09 at 4:05 pm.11. Yes. It should work in Leopard. posted by Bran on 11.25.09 at 6:14 pm.11. posted by Richard Dean on 06.09.10 at 1:08 am.06.